Zhou Xun: Zhou Xun and Yann Arthus Bertrand Launch Chinese Version of "Home"
Zhou Xun and Yann Arthus Bertrand Launch Chinese Version of "Home"
Shanghai (China), 5 July 2010 - Chinese actress Zhou Xun and French film director Yann Arthus-Bertrand on Monday launched the premiere of the Chinese version of HOME at the Shanghai Expo. Using the stunning aerial footage that is Mr. Arthus-Bertrand's trademark, the film - shot in more than 50 countries - makes an urgent appeal for our planet in peril and all its treasures. The Chinese version of HOME has been dubbed by Zhou Xun, one of China's leading actresses and a highly recognized environmental advocate. 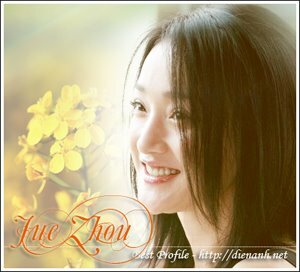 She was named a UNDP Goodwill Ambassador for China in 2008, with a special focus of promoting environmental sustainability, won UNEP's Champion of the Earth award this year and is the Green Ambassador for the 2010 World Expo in Shanghai. "I have been nurturing this film for more than fifteen years. What I saw and learned as I flew over the Earth has changed me forever," said Yann Arthus-Bertrand, who is also a UNEP Goodwill Ambassador. "We are living in exceptional times. Scientists tell us that we have 10 years to change the way we live, to avert the depletion of natural resources and the catastrophic evolution of the Earth's climate. The stakes are high for us and our children," he warned. The film depicts how humans have disrupted the fragile balance on which the Earth has existed for four billion years. Global warming, a shortage of resources and endangered species are threatening the very existence of human beings. By the end of the century, the film predicts, current consumption patterns will have exhausted almost all the Earth's natural resources and only changing the way humans live can reverse the trend. Said Zhou Xun: "I suggest people take the nearly 100 minutes to watch this film called HOME. Let us pay more attention to this crisis that might happen on this Earth in the future." The film first premiered globally on World Environment Day in 2009 and has been seen in more than 108 countries and territories. Mr. Arthus-Bertrand, a photographer as well, is renowned as one of the world's strongest advocates for protecting nature and insisting on the need for sustainable development. His 'Earth Seen From Above' exhibit of large-scale aerial photography explores the link between humans and nature and encourages viewers to think about the challenges the planet faces. The exhibit, which started in Paris in 2000 has since travelled to cities around the world and has reached over 130 million people. Most recently, his film '6 Billion Others', which is currently showing in the UN Pavilion in the Shanghai Expo, captures the testimonials of the lives of 6,000 people facing the challenges of climate change in more than 65 countries. Zhou Xun also regularly promotes 'tips for green living' through Our Part, a campaign she runs jointly with the United Nations Development Programme (UNDP). The popular actress encourages people to reduce their carbon footprint through simple changes in lifestyle, something that can make a huge difference in a country with the challenges of a large population such as China.